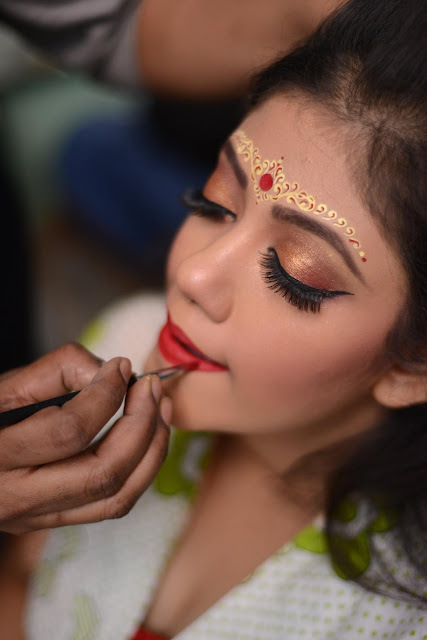 Today on “Blushing Brides” we are featuring a very pretty lady from the City of Joy, Mrittika Mitra. 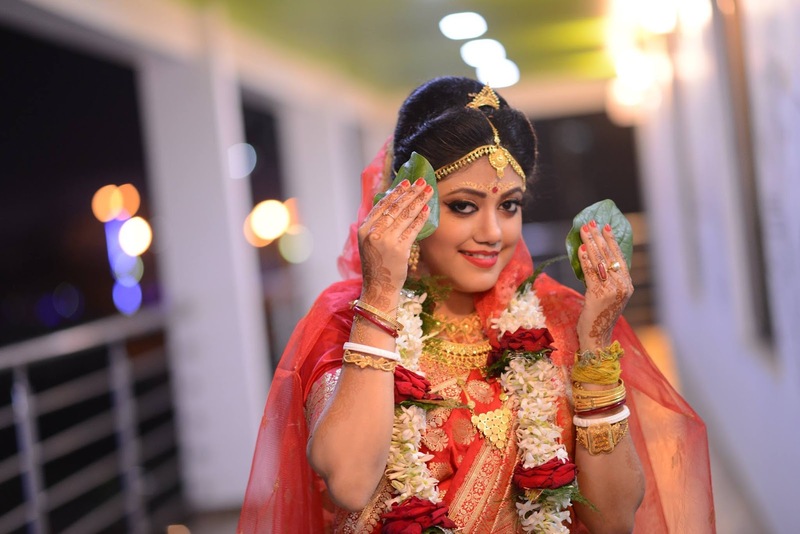 She got married on 29th January this year and today she is here to share her wedding moments with us. Ours is an arranged marriage but eventually love found its way. The process from first meeting to getting engaged was done in one week..right just one week.. as the saying goes when it’s right, its right. Like every arranged marriage setup, me and Prateek first met each other with our parents. On the first day itself we really connected with each other and as days followed we started talking about our future together and tadaaa… our families were more than happy with our decision. So how long did you get to plan your entire wedding? Like every girl I too had some plans for my d-day since long, but the actual planning happened for nearly 5 and a half months. My wedding date got fixed in mid august and the d-day was 29th January. 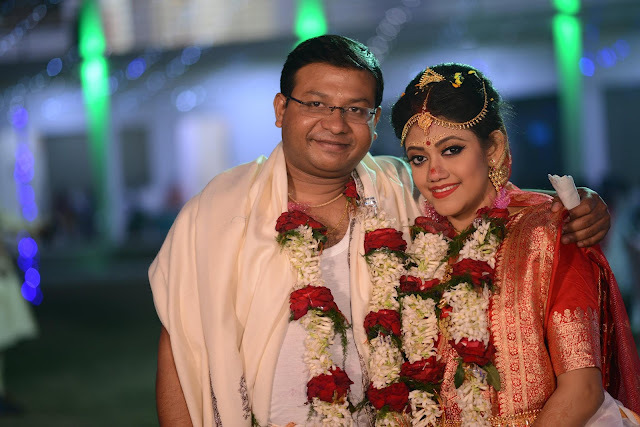 Our main concern was getting a venue, as in Kolkata wedding venues gets booked well before a year. 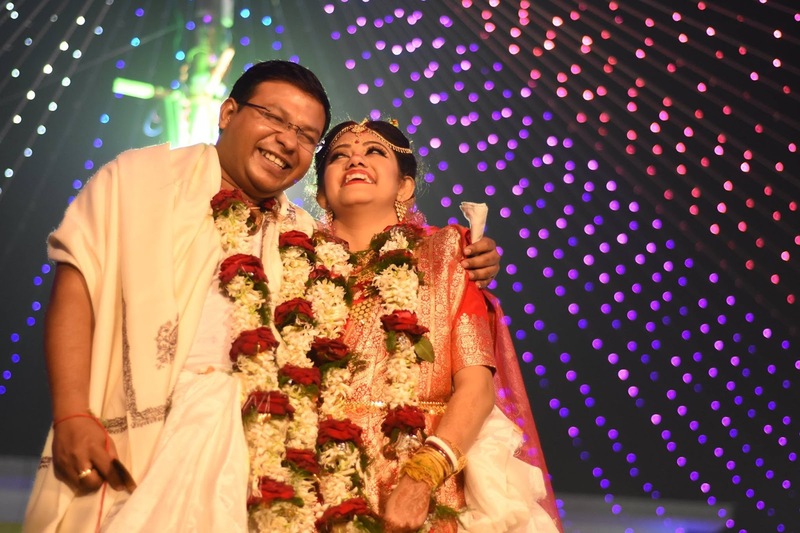 But luckily my wedding took place at Swapno Bhor, New town and we were the first ones to whom they let out the park. Tell us something about where you got your outfits and accessories for wedding. 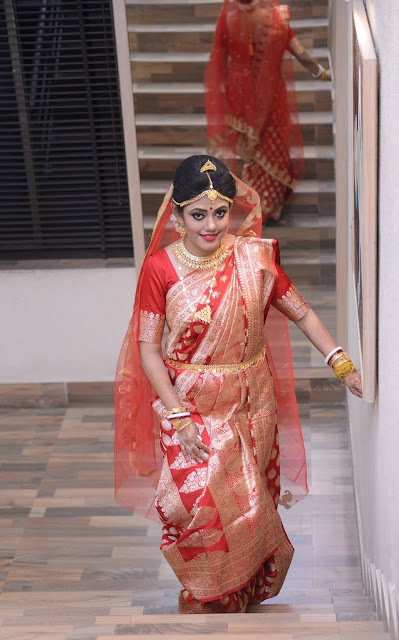 My wedding benarasi was a true red benarasi silk from Adi Mohini Mohan Kanjilal. I always wanted a clean jewellery look rather than a gold shop advertisement. My main wedding choker necklace and the other long necklace were from Shyam Sunder Jewellers. The choker necklace design was their own but the long necklace design was provided by me. While buying my other wedding accessories like kamar bandh and maang tika I came across a necklace which I really liked. I took a picture and gave the design to Shyam Sunder Jewellers to custom make it for me. The earrings I wore was my mom’s. It was her wedding earrings as well which almost matched the long necklace. Where did you get your hair and makeup done? 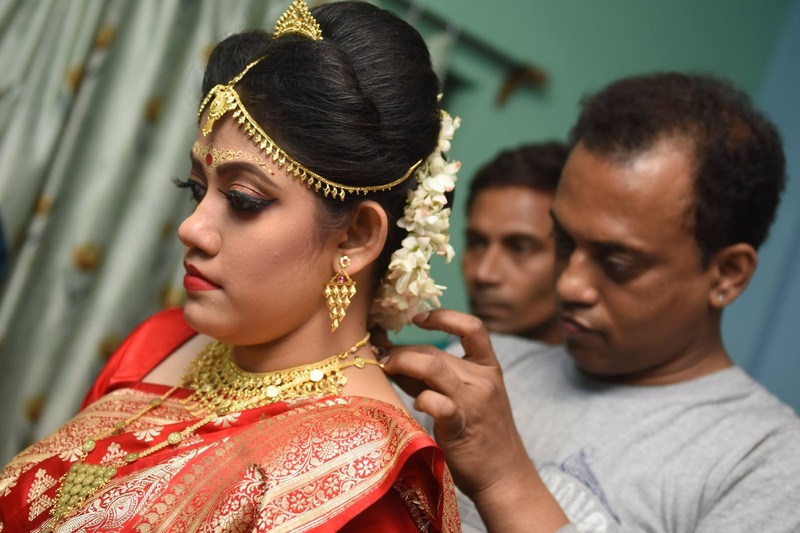 My makeup and hair was done by Goutam Sarkar. I first saw his work four years back and somehow always wanted to get my makeup done by him. I am super happy with his work. I highly recommend him. He is a professional makeup artist. His the makeup artist for Tollywood actrees subhasree and as well as many commercials as well. After a lot of research and filtering I choose Love stories Wedding Photography as my photographers. Click Here to visit his Facebook Page. We absolutely loved their work. They captured every moment of my memorable day so well. Each picture is like a story. Any advice you want to tell all the readers out there? I have heard lots of people freaking out before their marriage, but strangely I never experienced anything like that. I was really happy throughout the phase. I was sure that this phase from getting engaged to getting married would never come again, so I thoroughly cherished each and every moment. I would tell every to be brides to just cherish every moment of the phase. Another thing that my make-up artist told me not to do was to cut fringes or bangs and not to chop off hair too short. As fringes and bangs are difficult to set. And the last facial you do before your d-day should not be experimental. Always stick to what you have done before. Try to eat healthy, although for us Bengalis its not really possible because of the innumerable aiburo bhaat invitations. Try to follow a skin routine that suits best for your skin type. And most importantly be happy and keep smiling. I just completely adore her look, traditional, elegant and classy. Her makeup was clean and enhanced her features. 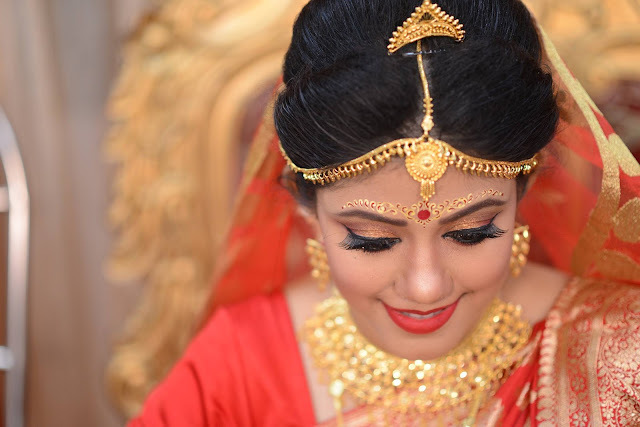 The combination of red Benarasi and gold jewellery can never go wrong on a Bengali wedding. She was the quintessential Bengali bride and looked ethereal. 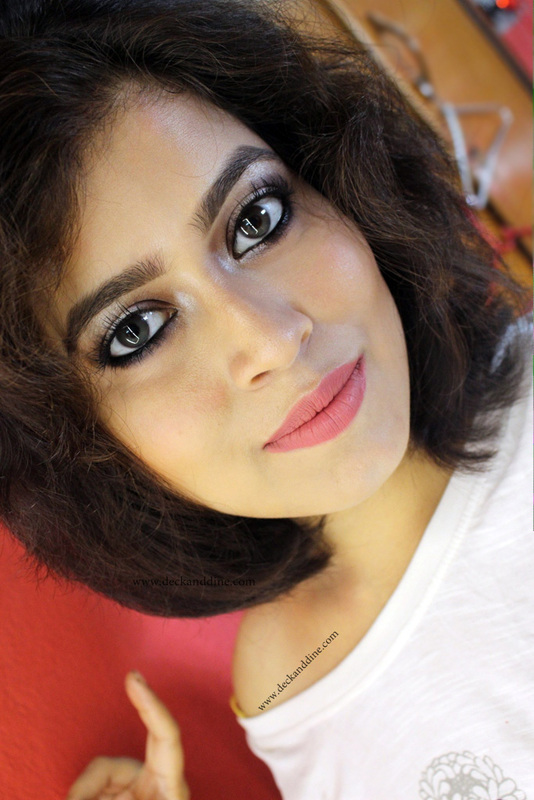 Thank you Mrittika for letting us feature your journey here. Congratulations…I hope your life together will be filled with joy, happiness and lots of love!